We want to help user/meetup groups to do more events (socials, trainings, hackathons, contributor days) by making it easier to provide financial support to event organizers. We also want to track the events that are held and measure whether they’re a good use of the funds that go out. 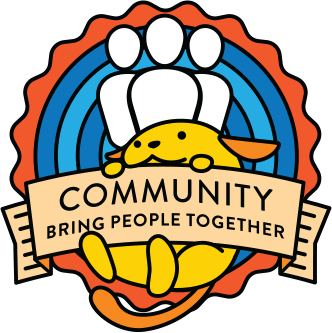 We don’t have a program that tells local WordPress user groups what kind of events we’re willing to support or how we’ll measure the success of those events. We don’t have an easy way to collect info from event organizers about the events they want to organize, including budget/location/date. We don’t have an easy way to collect vendor payment requests associated with these events. This form creates an auto-filled post type called Event (or if we want to, we can make lots of different post types: Hackathon, Training, Contributor Day, Viewing Party, Meetup, Social) that we vet/approve just like WordCamp or Meetup applications. When the form is submitted, it populates a public-facing dashboard of local events that are applying for financial support, including data on proposed cost and goals. When the grant is approved, that info is added to the public page. where they should fill out their event report when the event is complete. We create a public-facing vendor payment/reimbursement request form that someone can only fill out if they’re logged in, which will include a field for the local event/grant that the expense is linked to, and then process the vendor payments in our normal payments workflow. If the event goes over-budget, that will be publicly reported; if the event does not meet its goals, that will be publicly reported; if the event report is not filled out, that organizer will not be able to receive funding again until it is completed. Let’s talk about metrics for a second. I think we can do better than that. In fact, I think we can do WAY better than that. What if we identify some ways to measure the success of an official event, set some goals that correlate with budget size, and then ask organizing teams to tell us what kind of numbers they’re going for when they’re proposing an event? Then after the event is over, organizer(s) can fill out a little debrief form that will auto-populate a post on make/cmty or Central. Sounds good, but what will we measure? number of organizations helped/sites created? Thoughts, complaints, obvious blind spots? Am I thinking too big? Too small? Let’s discuss in the comments and in our Community Team chat, tomorrow! Do you screencast or make video tutorials of how to use WordPress? WordPress.tv wants you! WordPress.tv is a great place to go to catch up on your favorite WordCamp sessions, or perhaps virtually attend a Camp you could not make in person. These videos are a great way to up your game and learn about WordPress, especially if you are an aspiring developer, or established user. Submit your WordPress screencasts and video tutorials to WordPress.tv! What makes a good screencast or video tutorial? Shorter videos are better – 3 minutes or less is a good guideline. That last bit bears some explaining. While we want you to be able to benefit from your work, WordPress.tv is a non-commercial community-run website; we can’t accept videos with watermarks, logos, or self-promotion of any kind. We do have a place for you to enter your WordPress.org profile name as a producer credit, so you will get noticed! So why not share the love, and help train a new generation the joys of using WordPress. Good karma (and a free copy of WordPress) will be your reward for helping out! Thanks! WC Lancaster – WC St Louis – WC San Diego – WC North Canton – WC Portland – WC Nashville and WC Miami videos are still in process. We published 9 videos from 3 WordCamps and WordPress Related Events around the world. We had 23 how-to videos submitted this week. No new WordCamp or WordPress Related Videos submitted this week. We published 43 videos from 4 WordCamps and WordPress Related Events around the world. WC Montreal, WC London, WC Hamburg, WC Atlanta and WC Minneapolis submitted videos this week. WC Lancaster – WC St Louis – WC San Diego – WC North Canton – WC Portland ME and WC Nashville videos are still in process. We published 32 videos from 5 WordCamps and WordPress Related Events around the world. WC Montreal, WC London and WC Minneapolis submitted videos this week. We published 13 videos from 2 WordCamps and WordPress Related Events around the world. WC Montreal, WC Atlanta and WC Minneapolis submitted videos this week. WC Lancaster – WC St Louis – WC San Diego – WC North Canton videos are still in process. We published 17 videos from 3 WordCamps and WordPress Related Events around the world. WC Atlanta, WC Dayton, WC Minneapolis and WC Seattle submitted videos this week. WC Lancaster – WC St Louis – WC San Diego videos are still in process. We published 14 videos from 5 WordCamps and WordPress Related Events around the world. WC Atlanta, WC Dayton and WC Hamburg submitted videos this week. WC Lancaster – WC St Louis – WC Seattle – WC San Diego and WC Minneapolis videos are still in process. the plugin by @brashrebel that brings relevant videos from WPTV into the wp-admin. Videos from WC Atlanta were submitted this week with a few more from WC Paris and WC Hamburg. WC Lancaster – WC St Louis – WC Dayton – WC Seattle – WC San Diego videos are still in process. a plugin by @brashrebel that uses tags to bring relevant videos from WPTV into the wp-admin. @brashrebel has submitted a patch to make the WPTV theme responsive. We published 29 videos from 5 WordCamps and WordPress Related Events around the world.